There’s no way around it: Remodeling is a dusty business. The worst eruptions may be during demolition and drywall sanding, but it’s inevitable that remodelers are going to kick up some grit every working day. Check out these five tips on how you and your contractor can control dust during a kitchen remodel. 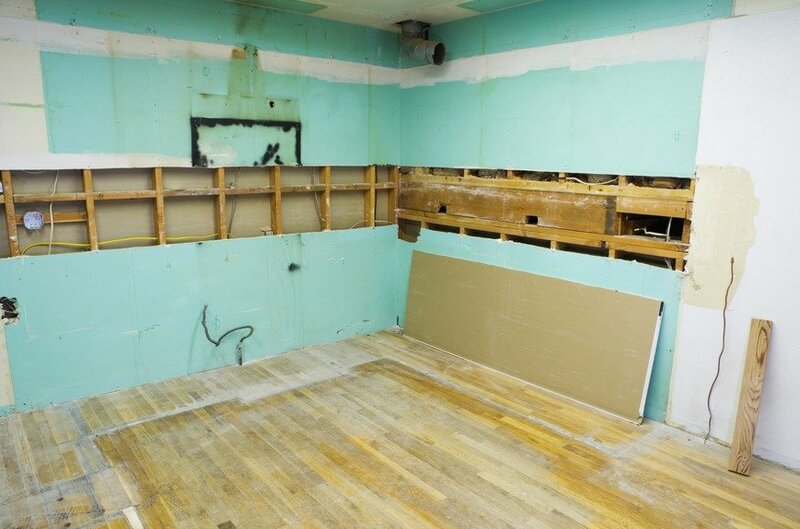 Workers will have to walk in and out of the space, removing old materials and delivering new. Dust will inevitably follow on their boots and clothes. Laying down canvas tarps or polyethylene plastic not only limits the transfer of dust but also protects wooden floors from scratchy grit and both carpets and floors from spills. In an ideal world, you’d remove all your furniture and personal items from your home before the renovation begins. A more practical solution is to remove small, hard-to-dust items from shelves and table tops, like knick-knacks and photos, and cover furniture with tarps. This won’t prevent dust from settling, but it’ll make clean-up easier. Keeping up with the dust on a regular basis is a smarter strategy than waiting until the end, when grit is embedded in carpets, sofas, and the nooks and crannies around the wood molding. Consider hiring a cleaning crew when the job is done, to do a thorough top-to-bottom job. In the good weather, carpenters can work in a space outdoors, limiting the amount of sawdust in your house. If they do work indoors, ask that they use dust-collecting vacuums with their power saws. Workers using drywall sanders, another major source of dust and grit, should do the same thing. Dust and debris is inevitable, but with a little forethought and care, you and your contractor can keep it to a minimum.